The new version of ID Card Workshop(version 3.8) has been released, added support for Topaz electronic signature pads. ID Card Workshop is a professional but affordable membership management and ID card designing software. It helps businesses and organizations to create and maintain their loyalty programs, membership systems, visitor tracking systems and any other kinds of photo ID systems. "The new signature capturing feature helps users to strengthen the security of their ID Card system." said Alex Li, the director of the team. "This new feature provides seamless user experience for signatures capturing, signatures verification and signatures printing. You can capture signatures electronically while enrolling new members in ID Card Workshop and save signature images into databases for later verification and attach signatures on ID cards automatically while printing." 1. Added support for Topaz signature pads. 1. Improved data records selection feature. 3. Improved Records Seeker feature - make it easier to use with barcode scanners. 4. Fixed some mirror bugs. 5. Fixed a registration problem. 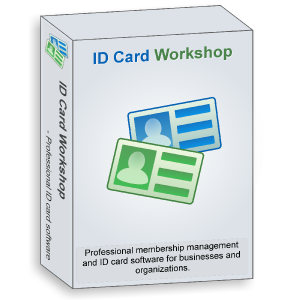 ID Card Workshop is an all-in-one membership management and ID card making software, it enables users to create ID cards, staff cards, membership cards and any kinds of photo ID easily. It can not only help users to design and print cards but also help users to manage member data with its inbuilt database management features. It provides two types of license for different types of users: full version licenses for general customers and pay-as-you-go monthly subscription licenses for budget-limited users.